You would like to come to Japan, but you think that the period of stay authorized for foreign tourists is too short in order to genuinely discover the country? You would like to take your time to travel and discover the culture of the land of the rising sun? You would like to have a real opportunity to live in Japan? In this cases, the working holiday visa may be the most convenient visa for your trips and discoveries. This article states the rules and conditions necessary to obtain a working holiday visa in Japan. 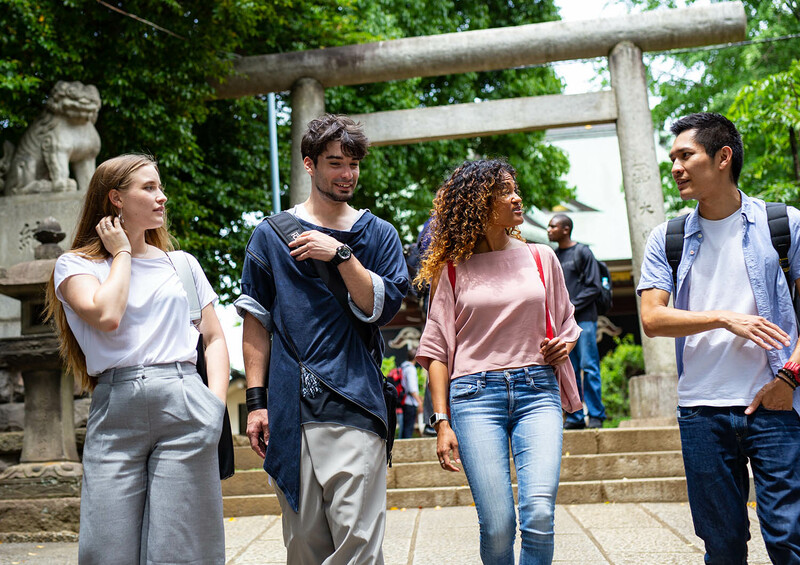 If you wish to work in Japan with a WHV or if you wish to study Japanese with a working holiday visa you can find the necessary information in this article on our website. WHV stands for Working Holiday Visa. However, sometimes it is called Working Holiday Program (WHP) as well. The WHV is the result of agreements between Japan and partner countries. It has the objective to strengthen cultural ties between Japan and its partners, to make the exploration of Japanese culture easier, and to develop international and intercultural links between Japan and the concerned countries. WHV beneficiaries also enjoy a unique way to discover the country, that most tourists are not able to get. Meeting new people, working, learning Japanese through immersion in the Japanese culture and living a Japanese lifestyle are only a few things the WHV is able to allow you. In conclusion, the goal of the WHV is to foster unique ties between the youth of partner countries and Japan. Ties that will positively influence exchange and understanding between the two cultures throughout the life of the beneficiaries. What are the countries that can benefit from the WHV? In Japan, the Working Holiday Visa started in 1980 through an agreement signed with Australia. Nowadays, about 10,000 working holiday visas are issued each year for young citizens of 21 countries that have agreements with Japan. However, when it comes to the different countries there exist some disparities regarding the access to a working holiday visa. Thus, countries like Australia, New-Zealand, Germany, Denmark, Portugal or Norway have access to an unlimited number of visas, while other countries only have access to a limited amount. This is the case for the U.K. (1,000 visas), Spain (500 visas), France (1,500 visas), Ireland (400 visas), Taiwan (5,000 visas), Hong-Kong (1,500 visas), Canada (6,500 visas), South Korea (10,000 visas), Poland (500 visas), Slovakia (400 visas), Austria (200 visas), Hungary (200 visas), Argentina (200 visas), Chile (200 visas) Iceland (30 visas), Czechia (400) and Lithuania (100 visas). If you come from a country where the number of Working Holiday Visas for Japan is limited, please remember to organize your application early on in order to receive one of the limited spots. There is a number of rules that apply to all the applicants. Please make sure to carefully fill out your application. Even one missing piece of information may lead to a refusal of your application and you may have to submit your application once again, risking to lose one whole year. Thus, we recommend you to take the application process very seriously. Here are some common rules you need to follow in order to get your Working Holiday Visa. You cannot bring a dependent with you. Spouse and children will not be allowed to travel with you. Your passport has to be valid. You have to possess a return/onward travel ticket or prove that you have the necessary funds to buy one. You also have to prove that you have the required funds to support yourself during your whole trip in Japan. You also have to be healthy and never have been issued a working holiday visa for Japan before. You have to submit a filled out application form, alongside with a recent passport-sized photograph, your curriculum vitae, a detailed outline of your attended activities as well as a motivation letter. For further details, we advise you to reach out to the nearest Japanese Embassy or Consulate in your home country. Being from a country that has an agreement with Japan is not the only condition to fulfill to get a Working Holiday Visa. Here are some specific rules that, based on your citizenship, may apply to your application. Until which age is it possible to obtain a WHV for Japan? Citizens from Austria, Denmark, France, Germany, Hong-Kong, Ireland, New Zealand, Norway, Slovakia, Poland, Portugal, Taiwan, Cezch, Lithuania and the U.K. have to be between 18 and 30 years old on the day they submit their application. Citizens from Australia, Canada and South Korea have to be between 18 and 25 years old. However, this condition may be subject to derogation by the Japanese administration. Citizens from Iceland have to be between 18 and 26 years old. How long is a WHV for Japan valid? Citizens from Austria, Denmark, France, Germany, Ireland, South Korea, Norway, Poland, Portugal, Slovakia, Czech, Lithuania and the U.K. will have access to a one-year visa, without any option to renew. Citizens from Australia will be granted a six-months visa, and the possibility of renewing it twice, while citizens from Canada and New Zealand will be granted a six-months visa, but are only allowed to renew it once. Even if it is possible to work in Japan with a WHV, some jobs are strictly prohibited to working holiday visa applicants. 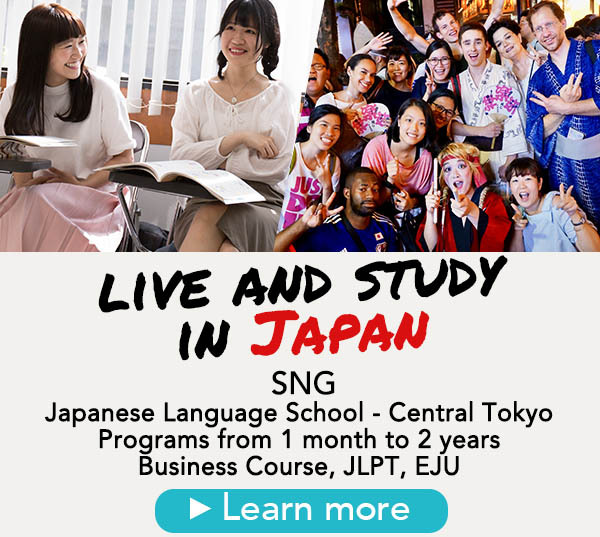 For studies, you can take advantage of your stay to study Japanese in Japan. Check our article: Work and study in Japan on a WHV for further information. Furthermore, please be aware that within the first 14 days of your arrival in Japan, WHV applicants have to register as a foreign visitor at their nearest city hall. Finally, if you decide to leave Japan during your stay, your WHV will be terminated, since any exit from Japan is considered to be definitive. If you wish to temporarily leave Japan during your stay, you will need to apply for a Re-entry permit. Previous post: How to obtain a student visa for Japan?